Rats, mice, and other rodents are part of Minnesota's natural environment are known to carry and spread a variety of diseases, both viral and bacterial. And, if they get into your home, they could bring those undesirable pathogens along with fleas and other parasites. Have an Absolute Pest Elimination Program set up so that you get ahead of the infestation. Monthly or Bi-monthly for Residential and Commercial customers is the best prevention for keeping these little guys under control. Let your service technician know what plan works best for you. Monthly and Bi-monthly customers get rodent defense free of charge with regular pest control treatments! Mice and rats are unwanted guests and they can bring bacteria, mites, E-coli, and salmonella just to name a few. So Absolute Pest Elimination’s trained technicians are more determined to keep them out! Absolute Pest Elimination's rodent prevention and control program is guaranteed for as long as it is monitored and maintained by our trained technicians. Placement of the newest and most effective rodent snap and glue traps along with a non-toxic bait are used as an attractant. Sealing techniques subject to additional costs for materials, one time. Rodents may be determined to get in and they will stop at nothing to gain entrance into your home. Mice and rats can enter your home at anytime of the year, not just in fall and winter. If they are not eating or nesting chances are they are out looking for a mate. Mice and rats are unwanted guests and they can bring bacteria, mites, E-coli, and salmonella just to name a few. So Absolute Pest Eliminations trained technicians are more determined to keep them out! 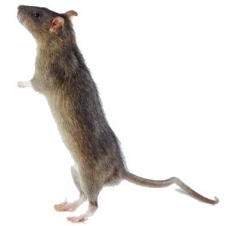 Absolute Pest Eliminations rodent prevention and control program is guaranteed for as long as it is monitored and maintained by our trained technicians. Absolute Pest Elimination can also provide commercial pest control for your business! ©2013 ABOSLUTE PEST ELIMINATION, LLC. All Rights Reserved.